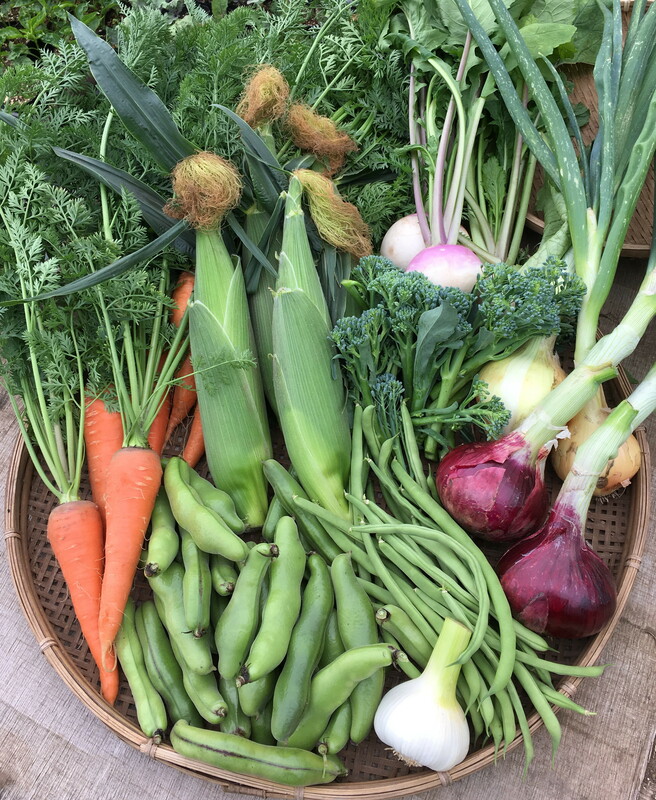 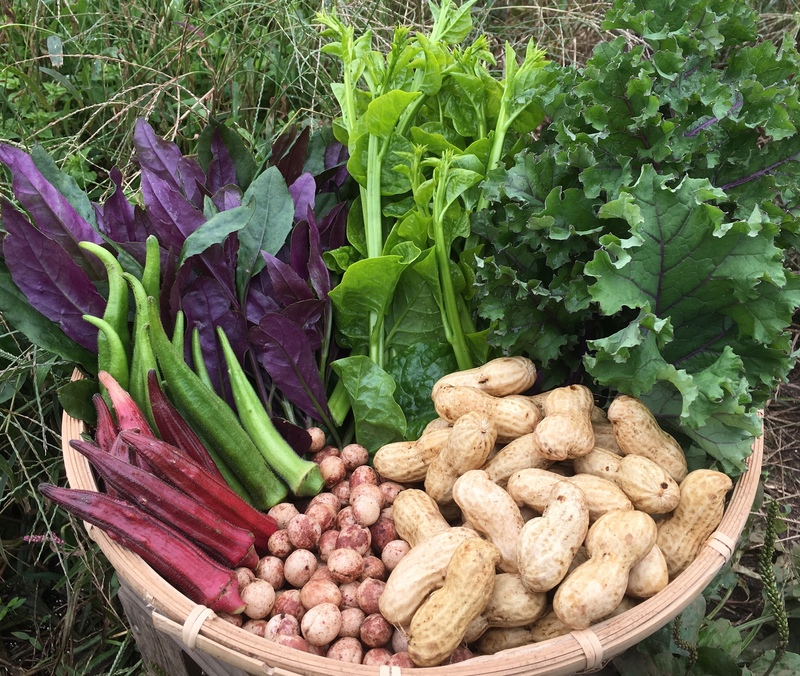 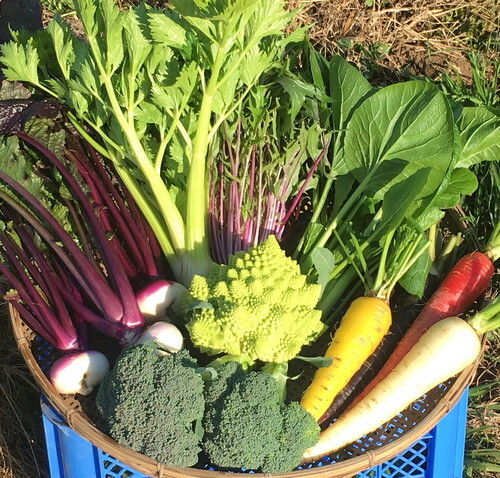 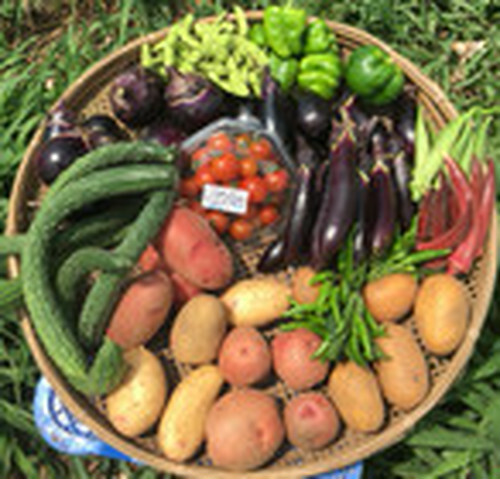 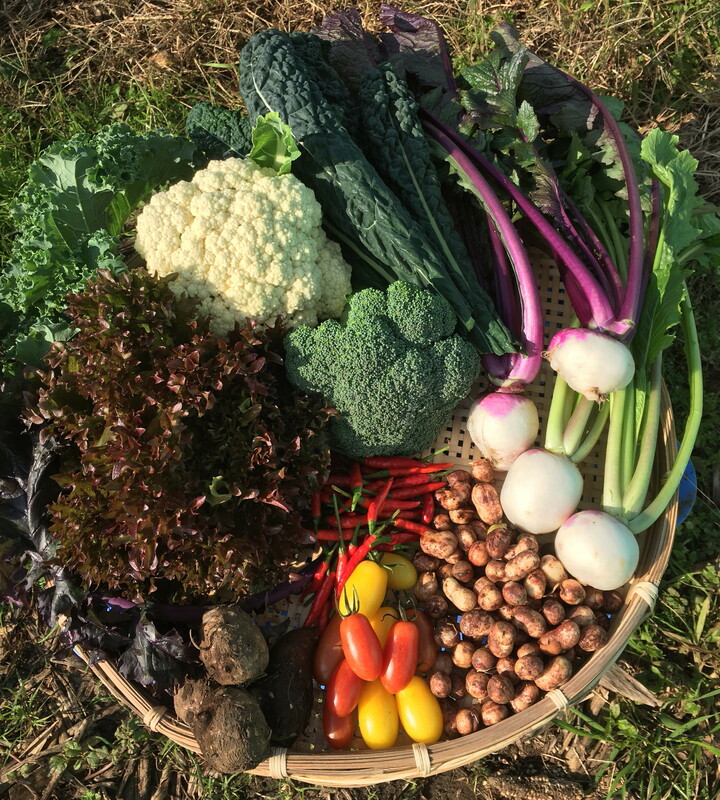 A set of seasonal vegetables on farmer's choice. More than 5items included (the contents will be changed from time to time). Fully packed with the box with a total of 3 sides of 100cm.